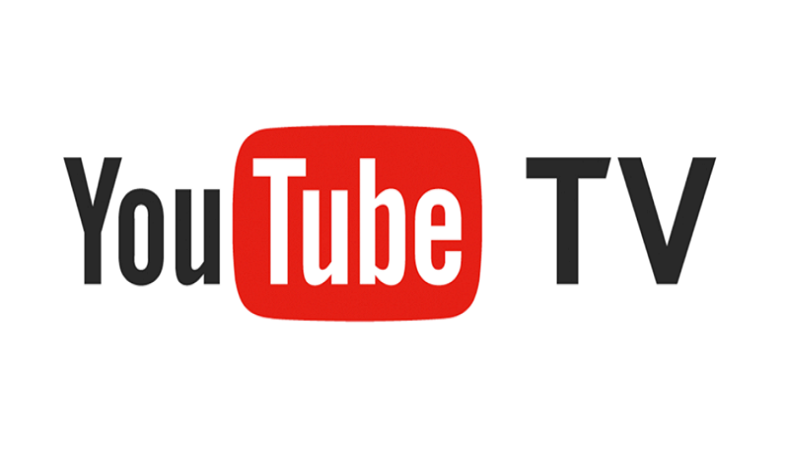 YouTube has only made its live TV streaming service available for the US at the moment which means that only customers based in the US can enjoy this streaming service. 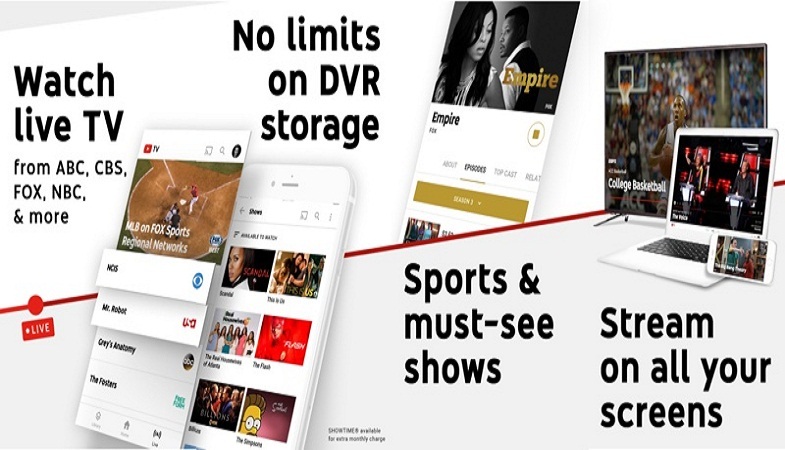 It’s similar to Netflix but instead of showing on-demand TV shows and movies, you will get to see cable channels like NBC, ABC, ESPN, FOX, Disney, and many others with this streaming service. It’s a cable-free live TV where you have to pay a monthly fee amounting to $35 a month. The only difference with this service is that you can take the channels wherever and whenever you want to go. Owing credit to its stellar Cloud DVR, we can record our shows simultaneously so we can watch them later. You do not need to worry even if you have missed an episode of your favorite show because you can always watch it later with the YouTube TV streaming service. The good thing about its Cloud DVR is that its storage space never runs out and you can store as many recordings as you want. Additionally, this online TV streaming service promises unlimited storage for your recordings for up to a period of nine months. This, in fact, is a huge plus point as its other competitors only allow to store the shows for only 28 days. YouTube TV is fairly new in the market but is already compatible with iOS and Android devices – phones and tablets, which means that you can get to stream your favorite content on YouTube TV app as well. Users can stream the videos on their Android, iPhone, and iPads. The same content can also be streamed on your television. Google Chromecast, Android TV, supported Samsung and smart TVs, Xbox One and Apple Airplay are all compatible with YouTube TV. YouTube TV devices include all the Apple and Samsung Galaxy devices as they’re compatible. Apart from that, Google has also confirmed that it’s working on both a Roku app and an Android TV for YouTube TV. YouTube TV is going to be a hit and we’re certain about it. There’s no reason why this TV streaming service wouldn’t work. While Sling TV and PlayStation Vue had to do a lot of hard work to get their customers on-board, YouTube TV doesn’t have to worry about it. In fact, YouTube TV does not have to carve out an audience for its product as it has already got one. For over one billion YouTube users living in 88 countries and speaking 76 different languages are already geared up to look forward to this new TV streaming service. Fortunately, YouTube has paved a way to success for its streaming service. It wouldn’t be wrong to say that a TV streaming service is actually better than a cable service. With the latter option, you can record your shows and watch them whenever you want (thanks to its Cloud DVR feature) and also take them with you. Also, you do not have to form any sort of contract while signing up for this service and you can cancel it whenever you want without paying any termination fee. 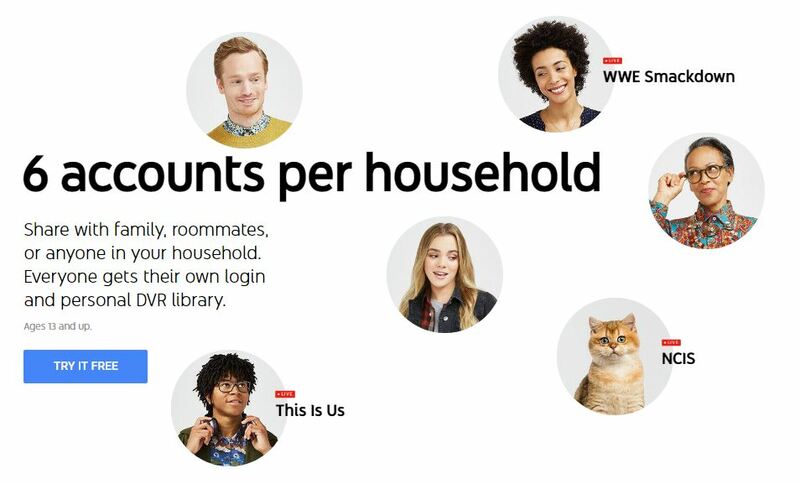 Above all, there is no need to rent a cable box or a router because the streaming service starts operating on whatever device you want to use it on. 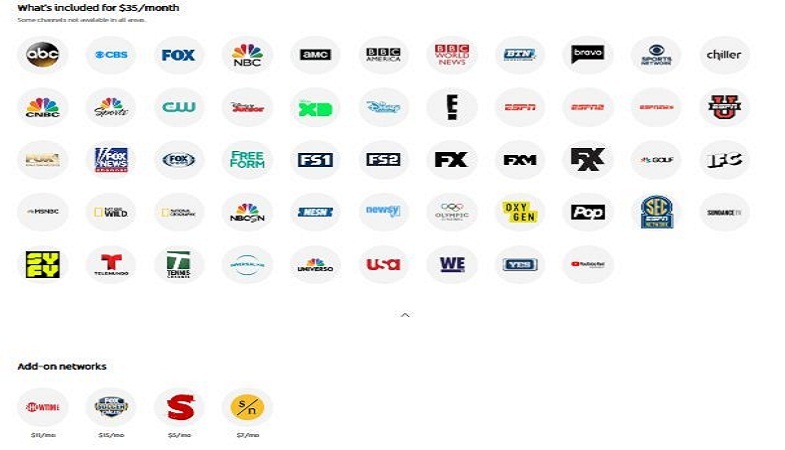 We would definitely recommend YouTube TV over basic cable as it comes without a cord, offering a Cloud DVR to record and store your shows for up to nine months, a plethora of apps for devices like Apple TV, Roku, and other game consoles and VOD (video-on-demand).